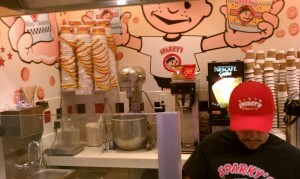 Sparky’s. Sounds like a dog grooming salon or some kind of dog accessory store. This place is far from that. They sell donuts! It’s not just a regular donut shop, it’s THE donut shop if you ever were to visit Universal Studios, and is located in Universal City Walk. For all those who aren’t from Los Angeles, that is the shopping strip right outside of the theme park, which means you don’t have to be inside the park to get your hands on these. I like to think there are 2 types of donuts. The cakey kind and the doughy kind. The cakey kind has the consistency of a crumb donut (cake-like), and the doughy kind has the chewiness of a Krispy Kreme donut. 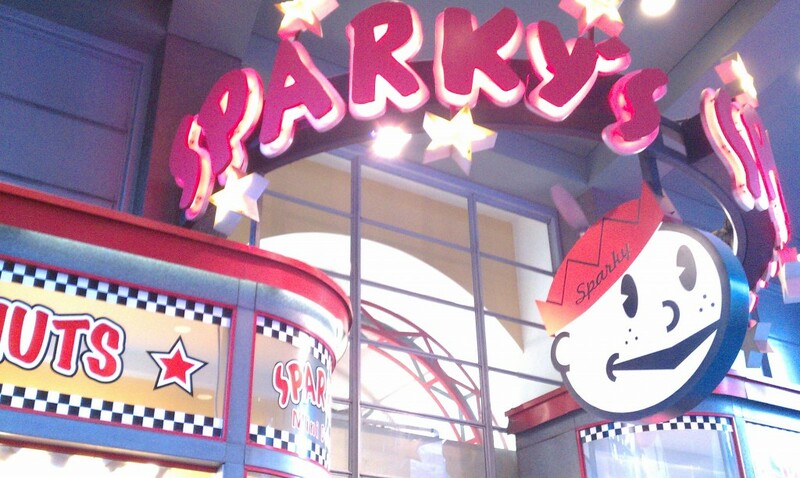 The ones at Sparky’s interestingly are like a little bit of both. They are cakey in texture, yet they melt in your mouth. What if I were to tell you I can fit a whole donut in my mouth? Impressive? I think so. Before I start sounding like a freak donut monster, I want to let you know that these donuts are tiny. But these little things are so good. You can’t eat these right after you get them either — they are hot right out of the fryer! Do you know how hard it is to keep yourself from eating these tasty little things? There I was with a bag full, and couldn’t eat a asingle one. 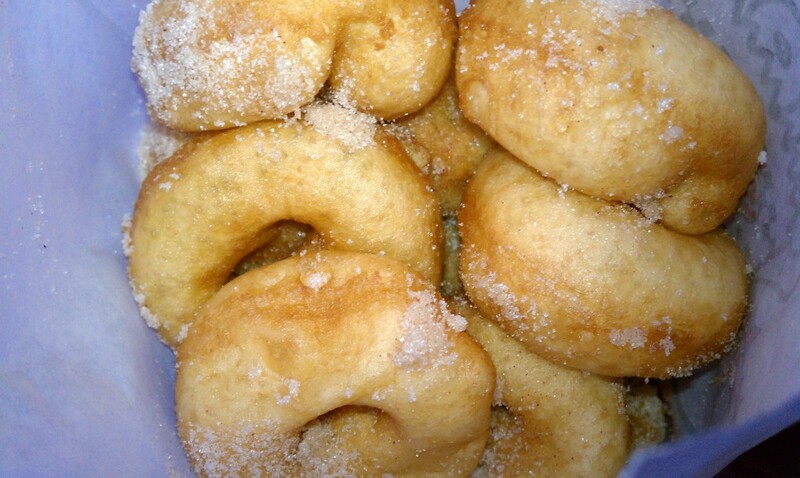 The sugar and cinnamon mixture sticks to the hot donuts, and each bite leaves a sugary mess all over your mouth. To avoid this, I eat each mini donut in one bite — that’s how they should be eaten. Who takes more than one bite to finish a mini donut anyways? 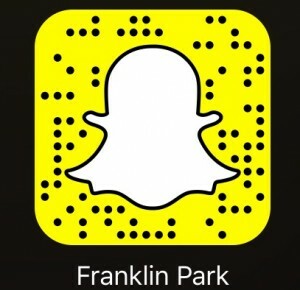 It is pretty cool how they make these things. They have a little donut maker that does it all for them. It squeezes out mini circular donuts into a vat of hot oil. 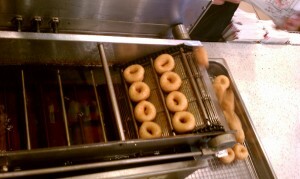 Then the little donuts flow through a conveyor and get flipped mechanically. The clerk stuff these hot mini morsels into a bag, sprinkles a generous amount of cinnamon and sugar, and is ready to be destroyed. Check the video below to see how the fresh donuts are made. These things are amazing, and can be addicting. Though Sparky’s is a candy store, I only come here for the donuts. I will probably get these every time I visit Universal City Walk. These are the best mini donuts, hands down! Not sure how they get the half half texture but normally cakey donuts are like a cake batter whereas the doughy kind has yeast and is left to rise, like bread. Oh. I did not know that about donut batters. I actually thought it would be the other way around. Thank you!